Turkey donations are being collected by KTSY 89.5 FM to help fill holiday meal baskets. Here's morning show host Dave Arthur at Albertsons at McMillan and Eagle. He's there to accept donations until 3 p.m. 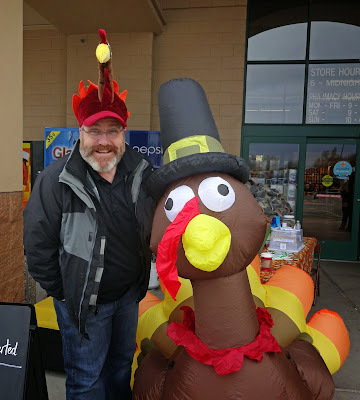 I didn't get a chance to come by as planned, and have a turkey for donation. Are the Albertsons accepting turkeys more days than today?